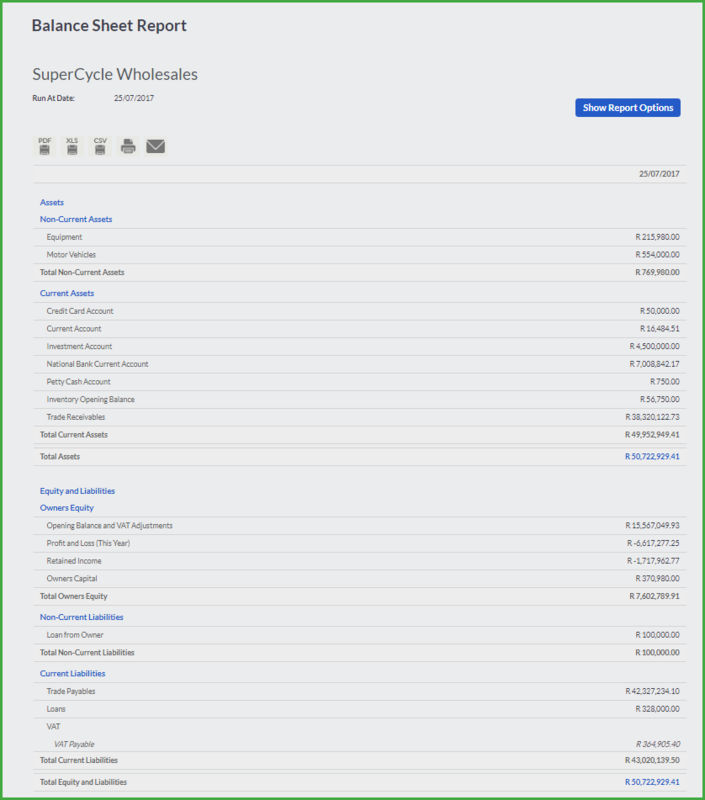 You will use Account Reporting Groups to view either a summary of grouped accounts or the individual accounts making up a group total on your financial statement reports. 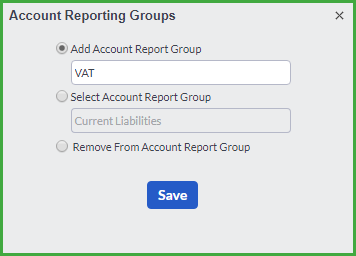 Select the accounts to add or move to an Account Reporting Group. Accounts can only be grouped with other accounts in the same Category. To access this function, select the Accounts…Account Reporting Groups option. You can add a new account report group, select an account report group or remove the account report group. Click on the Save button. Your Account Reporting Group will not be grouped and you will also have the option to edit or delete the account reporting group. 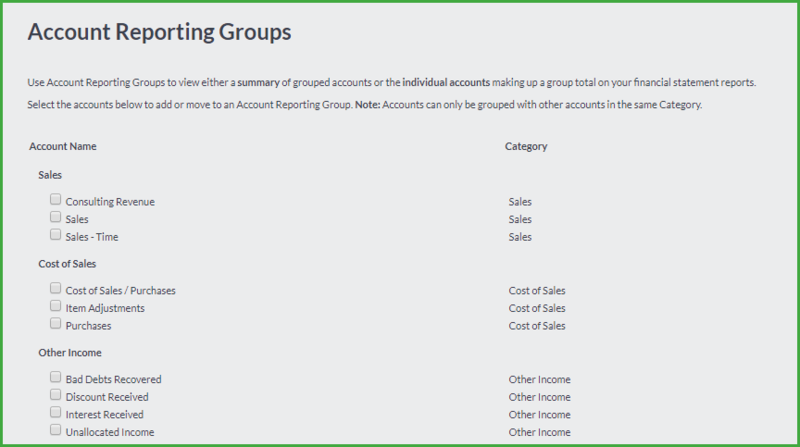 Once you have created your account reporting groups, you can view the grouped figures on the different reports available in Accounting. Select the View Report button to view the report. Your accounts will now be grouped under one account reporting group.